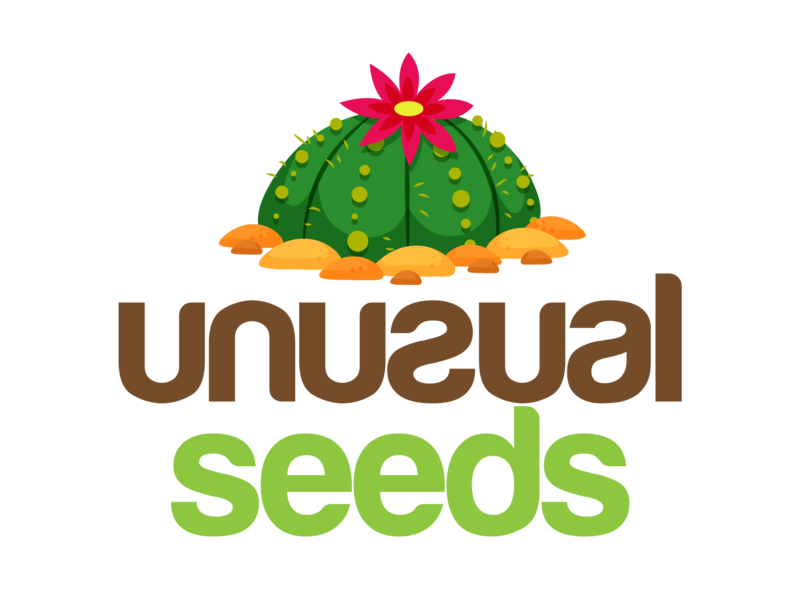 How to Water Succulents and Cacti – This May Surprise You! I’ll start off by saying that you should not believe everything that you read on the internet. Some of it is correct, but much of it is not! I’ve seen many misconceptions all over the internet on the topic of watering succulents and cacti. If you are an inexperienced succulent grower, or have not had much success with succulents, this post will help you immensely when it comes to the topic of watering. Myth #1: Succulents only need a little bit of water at a time. If you give your succulents just a little bit of water, and don’t soak the entire potting medium, this can cause some serious problems. Ironically, because people are afraid that they are overwatering, they are actually DEHYDRATING their succulents! If you don’t thoroughly moisten all of the potting medium, there will be dry pockets in the soil. If you keep this up, the root in those dry pockets will dehydrate and die. And when the roots suffer, the plant will suffer. The size of your pot. Small pots will tend to dry out very quickly. The material that your pot is made of. Terra cotta pots will dry out far more quickly than plastic pots or pots made from most other materials. The amount of light that your plant receives. The less light, the less water your plant uses and needs. The type and quality of your potting mix. Very well drained potting mixes actually need to be watered more frequently. The way you water your succulent should actually be no different than the way you water any other type of plant. The DIFFERENCE though is that you should wait much longer in between your watering sessions when watering succulents. 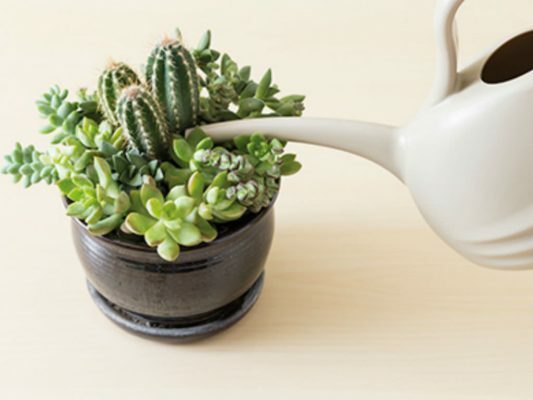 For any plant, whether it is a succulent or not, you should thoroughly water your pot. Be sure to water all around the surface of the pot and keep watering until water comes out of the drainage hole. I like to take my small succulents to the kitchen sink, and thoroughly soak them. It is much easier this way and makes less of a mess. And don’t even think about growing succulents in pots without drainage holes! If your pot doesn’t have a drainage hole, be sure to repot it to one that does. After you water your succulent thoroughly, you will want to wait until the potting media is almost completely dry, or completely dry. (But don’t wait too long, otherwise your succulent will dehydrate.) Then repeat the process all over again and give it another thorough watering. To check the soil moisture, I like to use my finger and touch the surface of the soil, or a little deeper if I can. I also gauge the dryness of the soil by picking up the pot. A pot that has completely dried out will be much lighter than one that has been freshly watered. Overtime, you will be able to tell easily when you need to water your succulent. If you don’t water your succulent thoroughly like I described above, your succulent may experience some signs of underwatering. One of the tell-tale signs of underwatering is that your leaves will start to shrivel up and dry up, especially the lower leaves. If you continue to underwater, you will notice more and more leaves that are shriveling up, wrinkly, and drying up. And not just the lower leaves! In severe cases, the whole plant will be this way. But please keep in mind that if you see one or two shriveled leaves, it doesn’t necessarily mean that your succulent is dying. Especially if they are lower leaves. It is only natural that older leaves will eventually die, so don’t overreact over one or two yellow leaves! It is part of the natural cycle of growth for plants. In less severe cases of underwatering, you can save your succulent by starting to water properly, as I’ve described in the section above. Your succulent should recover relatively quickly. If you have desiccated the plant and the situation is severe, the plant may be a goner! One sign that your succulent is overwatered (and by overwatered, I mean that the potting mix has stayed wet for too long), is that the leaves may turn soft and mushy. You may also see an overall yellowing of the leaves. In order to fix a plant that has been overwatered, you must pay attention to the moisture in the soil. Don’t even think about watering until the soil has completely dried out. You may need to prune off any growth that has rotted or become mushy. It may also be a good idea to repot the plant in severe cases because it may have suffered from root rot. 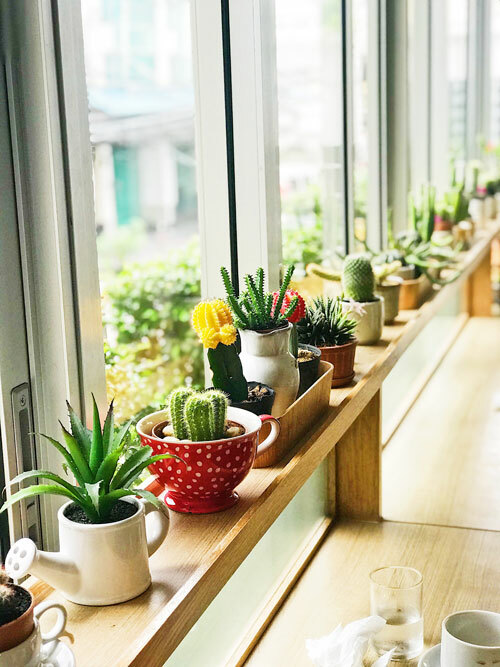 If you notice a rotten, foul odor coming from the potting soil, this is an indication that your root system has probably rotted to some degree, and you should definitely try and save your plant by repotting. If your plant seems to be rapidly declining from being overwatered, as a last resort, you can take cuttings to propagate with so that you can start a new plant with it. Proper watering is very crucial for any plant, so put in a little effort and you will be lavishly rewarded!